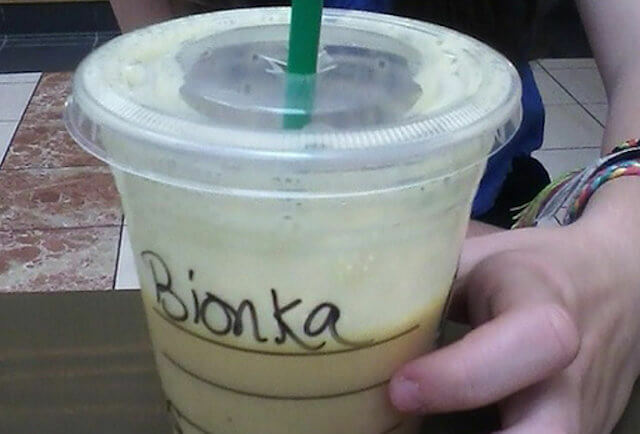 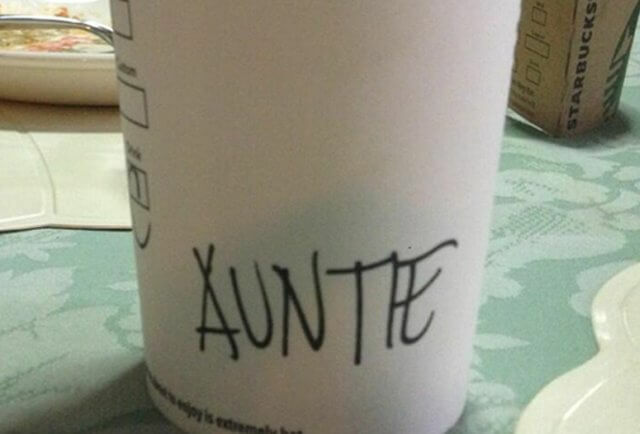 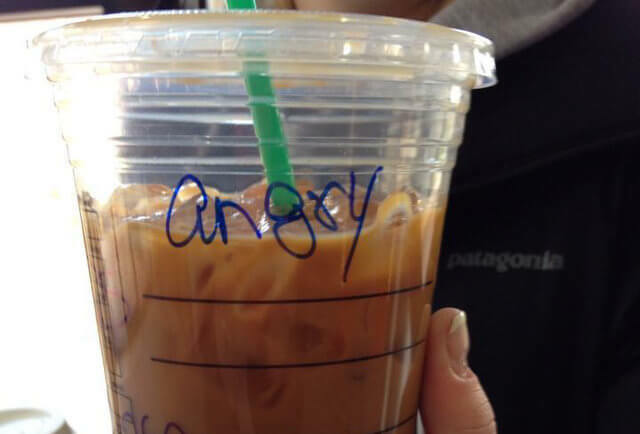 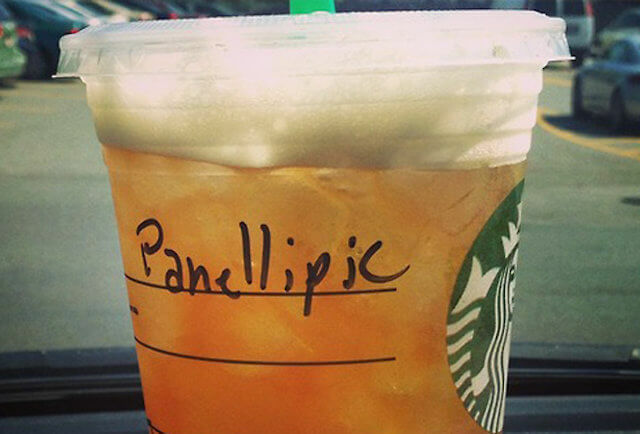 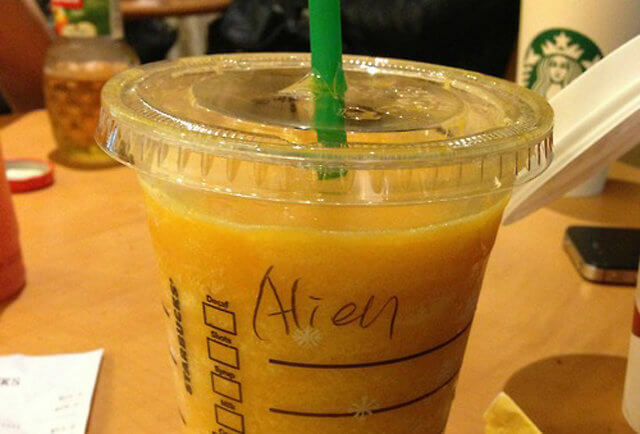 Starbucks baristas misspell customers names all the time. 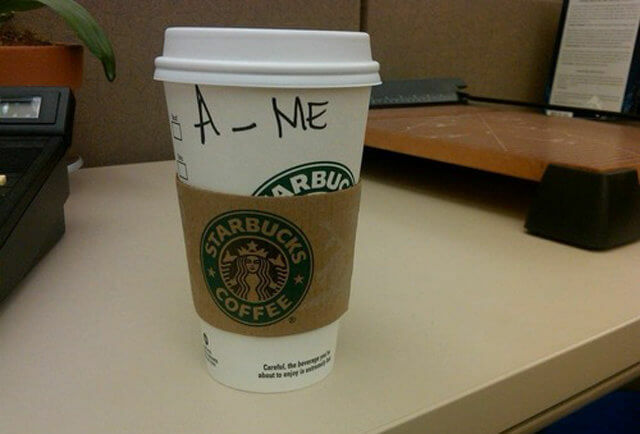 Free viral marketing, of course. 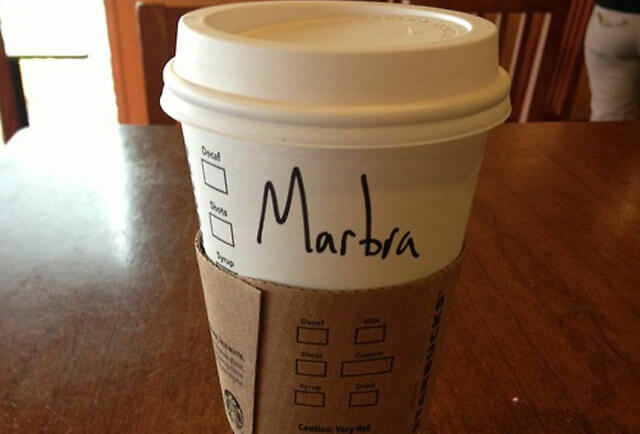 How else do you get consumers to post pictures of their regular morning coffee on Facebook, Twitter and Instagram? 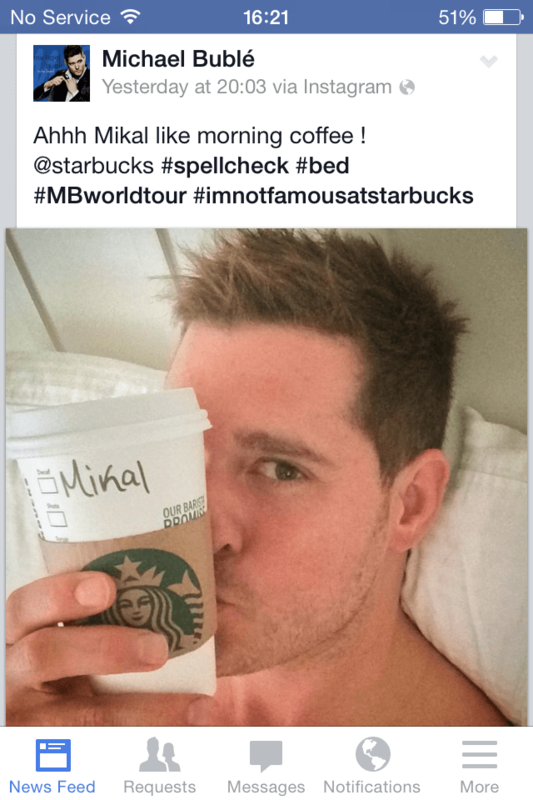 Take this picture that Michael Bublé recently posted on Instagram, for example. 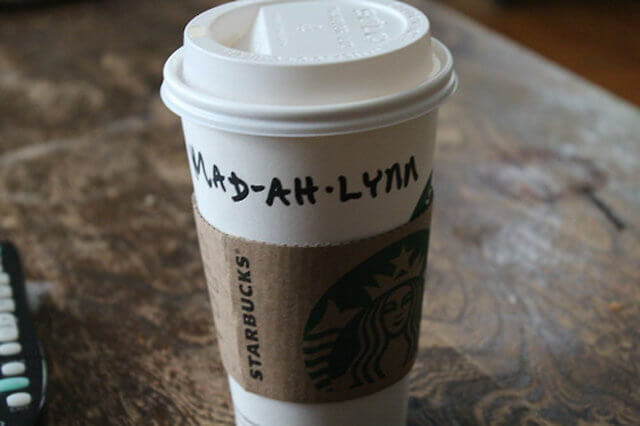 Had the barista not written “Mikal” on the cup, Buble’s nine million combined Facebook and Instagram followers might never have known that the singer is a Starbucks guy. 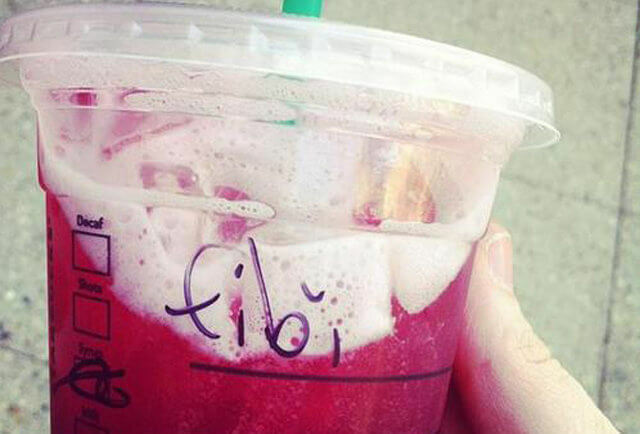 In other words, Starbucks is doing this on purpose. 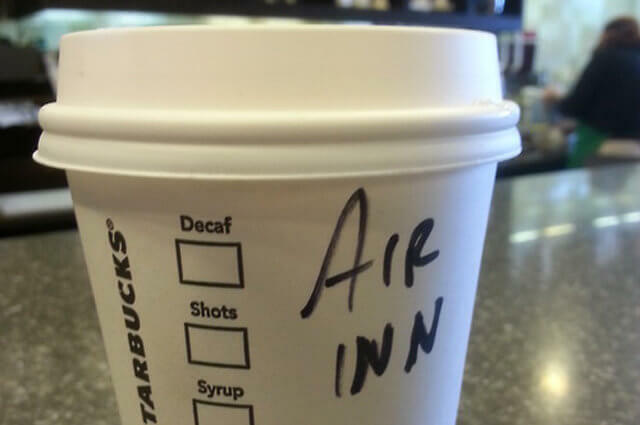 It’s a free, never-ending marketing campaign and it’s genius.